SOMERS TOWNSHIP —Authorities are investigating the disappearance of a Connersville, Indiana resident and subsequent discovery of his body in Preble County. According to Sheriff Mike Simpson, on Saturday, March 23, at approximately 2:51 p.m., the Preble County Sheriff’s Office received a call from a resident in the 2000 block of Somerville West Elkton Road, in Somers Township. The caller reported he located what he believed to be a dead body in a wooded area near his home. Deputies responded and confirmed the discovery of a male body. The body was located approximately 50 yards north of the roadway in a tree line, Simpson reported. The initial investigation found the body appeared to have been there for several weeks. Evidence of drug activity was also found near the body. Detectives located an identification card on the deceased with a possible name. 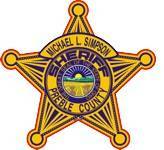 Further investigation determined that the male was possibly a missing person from Connersville, Indiana. Investigators responded to Connersville and met with detectives from Connersville PD, according to Simpson. After speaking with family of the missing male and based on a distinct tattoo on the deceased, the Preble County Coroner’s Office positively identified the male as Charles H. Rayburn, 40, of Connersville, Indiana. Rayburn had been reported missing to Connersville PD on Dec. 3, 2018. Detectives are continuing their investigation. Toxicology reports are expected to take between 6-8 weeks. Preble County investigators will work with Connersville PD investigators regarding the circumstances of Rayburn’s disappearance.